KAPSCH TIS - Mobile Number Portability – Pain or Gain? Q: The January meeting of the Telecommunication Standardization Advisory Group (TSAG) established a new Focus Group on Disaster Relief Systems, Network Resilience and Recovery. What prompted the ITU to do this? A: The catalyst behind creating this focus group dates from the end of last year when we had a couple of requests from the Chief Technology Officers from KDDI and NTT in Japan. 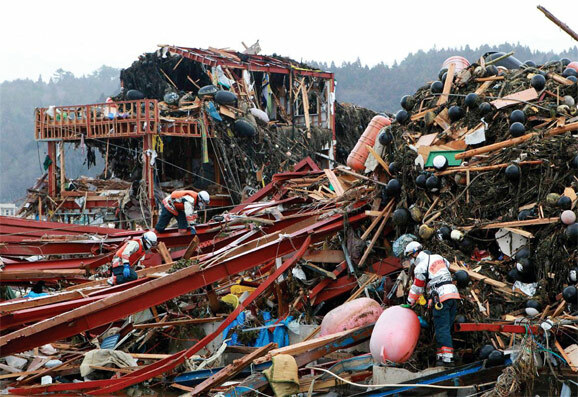 They had lived through the earthquake and subsequent tsunami and from that experience they realised that although there are already standards and techniques for disaster relief and network resilience but they are not sufficient from the experience that they had in Japan. Q: What do see as the gaps that need to be filled? A: The gaps mostly relate to individuals. Individuals get lost during disasters and they need some way of being able to receive notification of the situation. They need to be able to connect with relatives and if there are victims, then relatives need to know about them. It was felt that the standards used to guide people away from the danger areas to a safer place were not adequate. There is a need for better navigation guidance to tell people how to get to a safe place, whether via their mobile phones or by having digital signage in public areas. The standards need to evolve and they need to be to provide that information in real time. The Japanese government is putting their support behind this initiative. The Chairman of the Focus Group is being proposed by the Ministry of Information and Communication. The Focus group is learning what they have already and their results could find their way very quickly into international standards. The Focus Group is a very flexible with simple ways of working and is open to members and non-members. A: The first item on the Focus Group’s agenda for this is to put an inventory in place of the existing standards both in the ITU and outside. The ITU already has quite a bit of work done through various Study Groups. This includes Study Group 2 which is the lead on emergency communications in areas such as cell broadcast communication and the International Emergency Preference Scheme which gives preference to emergency calls when the network is overloaded. Study Group 17’s work includes the Common Alerting Protocol (CAP) and there are also resilience aspects in Study Group 15. The new Focus Group will to put together pieces of the puzzle of what exists and then from the experience of Japan and other disaster events and identify those areas that require new international standards to complement them. Q: Was the OASIS Common Alerting Protocol in place at the time of the earthquake and tsunami in Japan? A: The CAP is an ITU-T recommendation that has been published and adopted in many countries. There is widespread world wide adoption and there are also enhancements that we are working on with OASIS on a revision to the standard. On an annual basis, the ITU do a joint workshop with the World Meteorological Organisation just on the CAP. This year it is in Montreal, Canada. It is an ITU recommendation but it is up to individual countries to use it as necessary. Q: The military are a key provider of support to civil authorities during natural disasters. What work is their to co-ordinate standards with the military? A: It is not uncommon for military technical teams to participate in the ITU’s work, for example we often get DoD participation in SG17 on cyber security issues. Because the new Focus Group is particularly open to members and non-members of the ITU, we would expect participation from everyone including the military in this case but we assume that within every country there is liaison between the civil and the military communication systems so that when the military has to help, the national communication infrastructure is already harmonised. Sovereign states need to make the decisions on how best to meet the standards. Q: Where are you now in term of schedule? A: The consultation on the terms of reference has gone very well. We received excellent feedback and that was been taken into consideration and published on the focus group website on the ITU-T website. As part of the leadership we have promised from Japan, we have a proposed chairman of the focus group and at least two vice chairmen proposed by other countries. Q: How do you intend to get standards for final consideration? A: Once the leadership team is in place, we are hoping to get our first meeting in April or May. The Focus Group is very flexible both in terms of working methods and frequency of meetings. In the past we had a Focus Group on Cloud Computing that met every two months and they were able to generate seven technical standards in about 18 months. That is the sort of time frame we are looking for in this Focus Group. Within one year to 18 months, they would have a number of specifications or technical reports that they would generate that would be the basis for international standards. ITU has for some time been one of the first UN agencies or NGOs on the ground in many recent disasters; flooding in Myanmar and earthquakes in Haiti and Pakistan. One of the things that we have done on the ground is to provide satellite terminals so that aid agencies are able to co-ordinate their work. Immediately after the earthquake in Japan, the ITU donated mobile phones free of charge. It is very important that when the networks have been knocked out that they be re-established as quickly as possible. Q: It is a problem that the mobile phone infrastructure you are seeking to exploit is often the first to be affected by the disaster? A: The current mobile phone infrastructure is, from the Japanese experience, limited. However, there are protocols that don’t rely on using a base station and could deliver vital communications from one mobile to the next with the mobile acting as a relay point. If the base station is knocked out, there are many people with phones around each other with mobile phones the communications that can hop from one mobile to the next and back to the network. That is one aspect. The other is digital signage. That doesn’t necessarily rely on the mobile phone but in emergency, if there are a number of LCD displays round the town or train station, communicating emergency information can be displayed to the people that need them. The Focus Group is ready to collect all of these innovative ideas and put them to emergency situations. Those are sorts of protocols are part of the scope of the exploration.